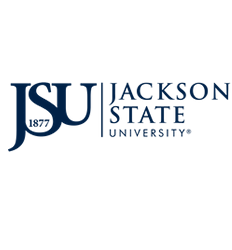 JSU Global International Student & Scholar Services (ISSS) builds on Jackson State University’s traditions of valuing diversity and a global outlook by promoting international student and scholar mobility through and assimilation into the campus community. ISSS serves as a resource to those student seeking admission, admitted international students, faculty, researchers and their families by educating, advocating and training while complying with federal regulations governing international education exchange. JSU Global ISSS is located in the Charles F. Moore Building, 3rd floor, suite 329. Our office hours are Monday-Friday 8:00 a.m.-5:00 p.m. ISSS is open during the hours listed however, if you wish to meet with an advisor you should come during the student and scholar walk in hours. Please note that ISSS observes lunch during the hours of 12:00 p.m.-2:00 p.m. If you need to speak with an advisor during that time, you MUST schedule an appointment. 9:00 a.m.-11:30 a.m. & 2:00 p.m.-4:45 p.m.
Walk-ins advisement meetings are 15 minute taken on a first come first serve basis. An appointment is not needed for walk-in advising however, if you feel that you need more time please schedule an appointment. You can pick up application packets for CPT, OPT, OPT Stem, Change of Status etc. during walk-in hours. However you must schedule an appointment for application review and processing. To schedule an appointment please email jessika.k.jones@jsums.edu or tina.n.gustavis@jsums.edu. In the subject line use the following format "Appointment Jxxxxx/Nxxxxxxxxxx" (replace the X's with your J# and SEVIS ID #). In the body of the email include your phone number and the day and time you would like to schedule your appointment. Due to the high traffic of walk-ins we do not schedule same day appointments.